Innovative architects Trewin Design Partnership have achieved regional honours for two ground-breaking housing development schemes in Cornwall. The partnership has been nominated in two categories for the Western Morning News/Michelmores Commercial Property Awards 2007. Trewin’s Broadclose housing project in Bude has been short-listed as project of the year in the Award’s over £2-million category, with its Penmead Close, Delabole nominated as Eco-Building of the year. Broadclose has already been put on the map, with two major national accolades last year. The housing project won the Design for Homes’ Richard Feilden award, which praised the quality and integrity of its 173 affordable residential properties. The practice also won a Commendation in The Mail on Sunday British Homes Award’s Best Housing Development category. Broadclose has been described by North Cornwall District Council’s Community for Services Committee as “a stunning development.” Two thirds of its 173 properties are affordable homes for rent and shared-ownership. Penmead Close comprises ten contemporary affordable dwellings for rent developed by Cornwall Rural Housing Assocation on redundant land formerly owned by North Cornwall District Council. David Savage of Trewin Design Partnership said he was delighted that this innovative scheme had been recognised and was a testament to the commitment of the client, council and design team. The contemporary designs include integral sun spaces to maximise solar gain and ground source heat pumps for hot water and central heating. Both Broadclose and Penmead Close have achieved a “Very Good” rating under the government’s Eco Homes scheme. Built to come within the financial means of local families, strong emphasis is placed on maintaining small, viable communities, within the heart of Cornwall. Broadclose and Penmead have also been praised for their pioneering approach to traffic-calming, with pedestrians, cyclists and cars having equal rights over the estates’ landscaped open areas. With all road-users aware of potential hazards, children can “play out” and residents have a traditional sense of community with their neighbours. 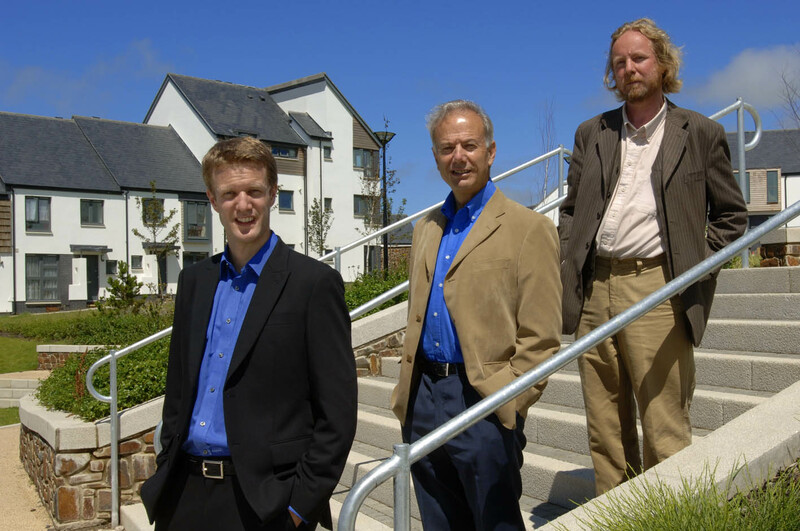 Established in the early seventies, and based in Holsworthy, North Devon Trewin Design Partnership is one of the leading architectural practices in the South West. The practice has built up a solid reputation for being able to provide practical design solutions sympathetic to the immediate environment within urban or rural settings. Trewin Design Partnership has particular expertise in mass housing projects, retail, higher education, cultural projects and workplaces.